The votes have been counted and the results are in. On Thursday evening, the NBA revealed the team captains and the starting roster pools for both the Eastern and Western conferences for the 2018 All-Star Game, which will take place in Los Angeles on Sunday, Feb. 18, at 8 p.m. EST. For the second year in a row, NBA players and members of basketball media participated in the voting, along with the fans. 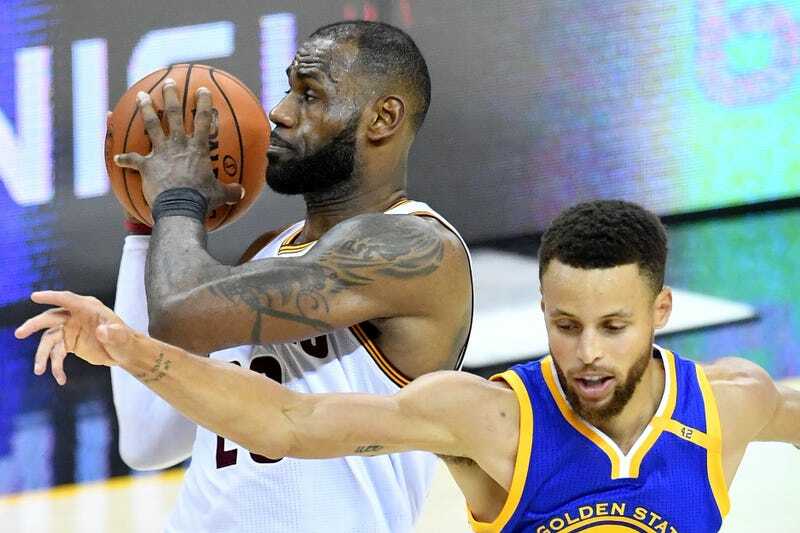 Steph Curry of the Golden State Warriors and LeBron James of the Cleveland Cavaliers will serve as the team captains for the Western and Eastern conferences, respectively, having earned the most fan votes in each of their conferences. As captains, they will select their teams from the eligible pool of starters from both conferences. They will be allowed to pick players from either conference, but both must pick their first four players from the eight eligible starters in the pool. Western Conference eligible starters are James Harden of the Houston Rockets, Kevin Durant of the Golden State Warriors, and Anthony Davis and DeMarcus Cousins of the New Orleans Pelicans. Eastern Conference eligible starters are Kyrie Irving of the Boston Celtics, DeMar DeRozan of the Toronto Raptors, Giannis Antetokounmpo of the Milwaukee Bucks and Joel Embiid of the Philadelphia 76ers. In determining the starters, fan votes counted for 50 percent, and player and media panel votes counted for 25 percent each. When all the votes were tallied, the players in each conference were ranked by position—either guard or front court—within each of the three voting groups. Players were then ranked as either starters or reserves, with the best two guards and best three front-court players being named as starters. It will be interesting to see who each captain picks for his squad, especially since both are able to pick from either conference. This will be like watching Steph and LeBron build their own dream teams. Of course, I am rooting for Steph Curry no matter who is playing on that team. Editor’s note: This story has been corrected to reflect that James and Curry will pick from the list of eligible starters noted above, and they may choose someone from either conference.